The most high quality replica of duty belt , Pantac use the same buckle as the original one, it makes this belt more comfortable and more secure to wear with. 1.) 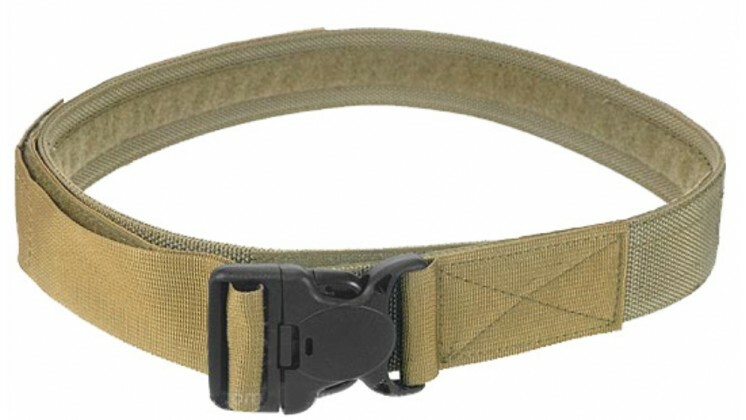 Large COP-LOC side release buckle/Mil. Spec. hook and loop double security - lock. - A.) Easy to put on and remove. - B.) More comfortable to wear. - C.) Four-ply buffer between buckle and your body. - A.) Two layers of nylon scuba webbing for stiffness, and durability. - B.) Lock down buckle adjustment strap to prevent slipping. 3.) Use Eagle duty lock system. - A.) Use same Eagle duty gear locks onto the belts interior via Mil. Spec. hook and loop. - B.) Quick and easy positioning of Eagle duty gear.